Lighting can add real personality to a space. Not only can it freshen the look of your home, but it can also create a new style in a stale space. Read on for some tips from Andre Smith on how to be creative with your new lighting choices. Many people rely on the same old lights year after year. They don’t think about replacing the lighting until a child knocks over a lamp and breaks it or they decide to update the look of a specific room. If you haven’t paid attention to the lighting that you have in your home, now is your chance. With a little creativity on your part, you can create a focal point, highlight a feature you love or just add a decorative touch to any room in your home. Downlights are similar to recessed lights. The fixtures sit inside the ceiling and sit flush with the surrounding space. These lights provide enough lighting for parties and events, but you’ll also have enough light for cooking and eating with your family. Instead of spacing those lights out around your house, consider using one or two downlights to create a spotlight. Maybe you have a painting that you always loved, or maybe you want to draw attention to a sculpture you picked up on vacation. Arrange those lights on either side of the piece, angling the downlights so that the bulbs meet in the center of the piece. 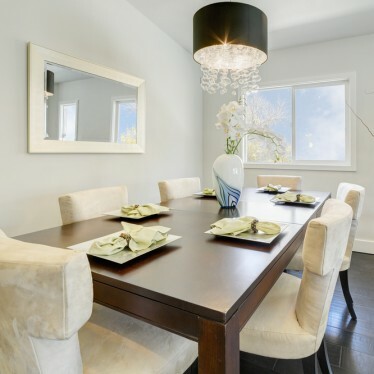 Designers from all around the world love the look of pendant lights, and these lights are a simple way to draw attention to your dining room table. You’ll now find sleek and modern fixtures that look like something you plucked out of the future, but you’ll also find traditional and elegant fixtures that look more like something you salvaged from a far off place. You might love the look of silver chrome fixtures or metal fixtures with distressed elements that look more antique. Many home owners hang a large chandelier or a ceiling fan over their tables, but using pendant lights lets you make more of an impact. Make a statement in your home with a simple glass lamp. Some lamps feature a large open space in the center of the lamp base, and you can fill that base with anything you want. This is an easy way to display a handful of seashells and sand that you picked up on a recent vacation, those match books you collected on your trips or even the small toys that you loved as a child. You can even turn the lamp into a makeshift scrapbook with a collection of items you and your family saved together. When you want to change the look of your home, simply fill the base with a new collection of items. 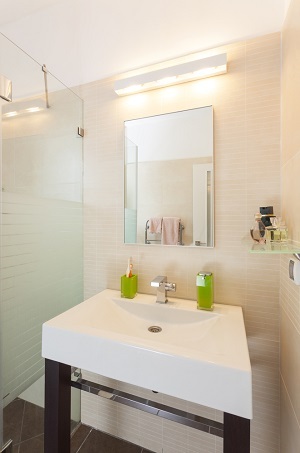 Have you ever watched design shows on television and wished that you had those elegant and modern bathrooms that your favorite celebrities have? With the right lighting, you can create a relaxing space to do your makeup, get a glimpse of your outfit before rushing out the door or take care of your late night beauty routine. Some women love releasing their inner Marilyn Monroe with stylish lights and large bulbs that surround their mirrors. Others prefer the look of a modern makeup mirror with bright bulbs and larger lights that recreate the same light found outside. If you entertain frequently and often invite over guests, create a bold and stylish first impression with a new chandelier light. Some people still think of chandeliers as large fixtures with dozens of small bulbs, but designers now make those lights in multiple styles and designs. You can find a large light with just a handful of bulbs surrounding the edges, or you can choose a smaller fixture with a more modern design. Make sure that you hang the chandelier high enough that it won’t get in the way of your guests but low enough that it provides enough light for the space. Don’t forget that you can show off your creative side with some fixtures you make yourself and supplies you can get at lamp and lighting stores. You might use small glass jars with lids attached to a string of lights to provide enough lighting for a party, or you might make your own pendant lights from hanging fixtures and folded paper or bamboo rings. Whether you choose products from top companies and designers, or you make a few lights of your own, you can create a fun look in your home. 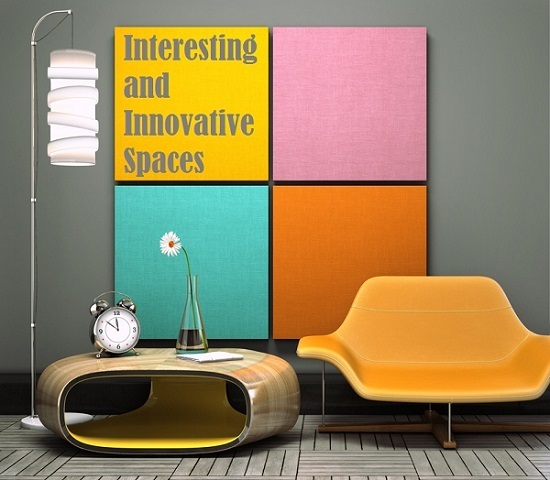 Use these ideas to release your inner artist and change the overall look of your home. Andre is an environmentally conscious blogger who often writes about energy issues and provides advice on successfully tackling home design projects. His other topic of interest is technology.